Kotak Mahindra Life Insurance, previously known as Kotak Mahindra Old Mutual Life Insurance Ltd., is a leading private-sector life insurance firm in India that provides coverage to over 19 million individuals across the country. 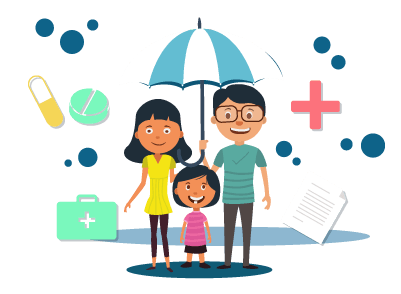 The insurance company, in addition to offering a host of comprehensive life insurance products with attractive benefits, also provides timely customer service to enhance the experience of its users. Listed below are the various customer care channels through which users can contact the insurer’s customer care department in case they happen to need any assistance. Kotak Mahindra Customer Care Toll-Free Number: Customers can contact the customer care department of Kotak Mahindra Life Insurance on 1800 209 8800 between 8:00 a.m. and 10:00 p.m. for any queries that they might have. Kotak Mahindra Customer Care Email ID: Kotak Mahindra Life Insurance also has a dedicated email ID for customer queries. Thus, to contact the insurer’s customer service team, new and existing users can send emails to clientservicedesk@kotak.com. Kotak Mahindra Live Chat: The insurer also has a live chat feature on the official website through which customers can seek assistance. To use the live chat facility, customers will need to select the ‘Let’s Chat’ option on the bottom right side of the insurer’s home page and key-in certain details about themselves. The chat will start once this is done. Kotak Mahindra Call Back Facility: Customers can opt for a call back on the insurer’s website by selecting the ‘Get a call’ option on Kotak Mahindra Life’s home page. You will need to provide certain details such as your name, mobile number, and email ID, select your query type, and submit the request. Post this, a representative from Kotak Mahindra Life will get in touch with you. Kotak Mahindra Branch Locator: Customers can also make use of the ‘Branch Locator’ feature on the insurer’s website to locate a branch that is closest to them. This is especially useful for individuals who would like to directly visit the insurer’s office. To locate the nearest branch through Kotak Mahindra Life’s website, you will need to click on the ‘Why Kotak Life?’ option in the homepage and then click on the ‘Contact Us’ option. Next, you will need to enter the state and city of your choice or the pincode of your area of residence. Upon doing this, you will be able to view Kotak Mahindra Life’s branches in that particular area with the respective addresses and contact numbers. Most of the customer care channels mentioned above can be used by new and existing customers for any queries that they might have.